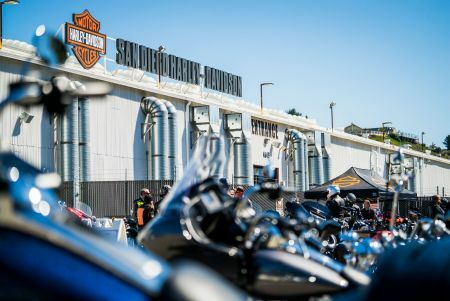 Home › News › Mega News for San Diego Harley-Davidson. Mega News for San Diego Harley-Davidson. New Focus & Commitment to Service for the Mega San Diego Harley-Davidson Dealership. San Diego Harley-Davidson in Kearny Mesa will consolidate with our main store on Morena Boulevard in an effort to focus on providing the best customer service on the West Coast. “Total process control, customer focus, and commitment to excellence are our key tools for providing the best service and purchase experience to everyone doing business with San Diego Harley-Davidson; we are always trying to do better, no matter what it takes” says New York Myke (owner of San Diego Harley-Davidson). Therefore, after long and careful consideration and analysis, we have determined that in order to achieve these objectives, we will need to close our Kearny-Mesa location. This was not an easy decision to make, but we are confident that the benefits will be well worth it. Clearly, our Morena location is meant to be a Mega-Store, the largest in California and arguably in the USA, and it is already one of the premier destination dealerships in the country. We believe the benefits of this transition will be apparent to everyone, as we will be ramping up stock, inventory, customer service, and our ability to oversee every aspect of our operation to a greater extent. We will have even more exciting events and rider experiences, not to mention a multitude of consumer-experience improvements. Much of this will be immediate, some of this will take time as we enter into the height of the riding season, but we are very excited to get to work! We are proud of the records and the achievements of the San Diego Harley-Davidson, and we appreciate the support and the loyalty of our customers, staff, and the Harley-Davidson factory crew, who all have contributed to our huge growth in the past! We will continue to grow and keep earning your loyalty and trust, and we look forward to sharing even more special moments and exciting happenings with you in the months and years ahead! Thank you so very much, we look forward to seeing you at our Morena Boulevard MegaStore and we appreciate all of your inputs and thoughts. In November 2013, the largest Harley-Davidson® Dealership in California opened on Morena Blvd off the I-5. On top of the extraordinary Motorcycle Sales, Parts, Service and MotorClothes Departments, this impressive space offers the largest Rentals Fleet in the West Coast by EagleRider, an on-site Learn To Ride program, The Rebel Pit Hair & Tattoo Shop, complimentary Starbucks Coffee, a fully stocked Convenience Store, a dedicated 5,000 square foot event room and a replica of the original Harley-Davidson building from 1903.